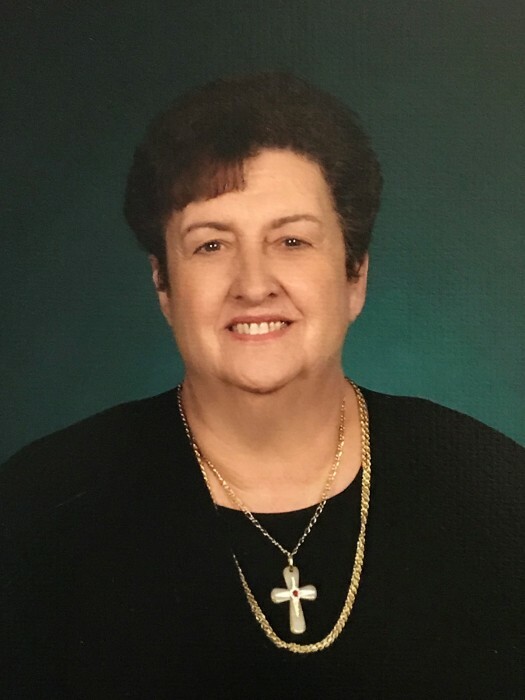 Obituary for Peggy L. (Large) Call | McCoy-Moore Funeral Home Inc.
Peggy L. Call, 74, Rio Grande, Ohio, died in the Ohio State University Hospital, Columbus, Ohio, Tuesday, November 6, 2018. Peggy was born October 30, 1944, in Gallipolis, Ohio, to the late George William “G.W.” and Mary (Goodman) Large. A retired paramedic, Peggy began her career at SEOMS before working for Gallia County EMS. Peggy and her partner, Linda Nibert, were the first paramedics to be hired by Gallia County. Peggy faithfully attended and actively served in her church. She is survived by her husband, Don W. Call, Rio Grande, Ohio, and children: Jeff (Jennifer) Call, Wilmington, North Carolina; Jerry (Yuko) Call, Cheney, Washington; and Jason W. Call, Rio Grande; grandchildren: Megumi Call, Cheney, Washington, and Katie Call, Wilmington, North Carolina, as well as a brother and sister: William F. (Beth) Large, Brentwood, Tennessee, and Patty J. (Maurice) Toler, Bidwell, Ohio, along with several nieces, nephews and many friends. Funeral services will be conducted 11:00 AM Saturday, November 10, 2018 in the McCoy-Moore Funeral Home, Wetherholt Chapel, Gallipolis, Ohio, with Pastor Will Luckeydoo officiating. Burial will follow in the Vinton Memorial Park. Friends and family may call at the funeral home Friday 5:00-8:00 PM.